This Healthy Blueberry Compote Topping recipe is sweet and BURSTING with bright and fresh blueberry flavor, yet it’s secretly refined sugar free, fat free, gluten free, and vegan! I could top just about anything with a good jam, and the same goes with fresh fruit and fruit compotes. I chose to make this Healthy Blueberry Compote Topping because I luurrrvvv me some blueberries. They’re like perfect little spheres of sweet, candy-like fruit. I also decided to make this recipe because I’ve been making my Banana Buckwheat Pancakes a lot lately and I ran out of pure maple syrup. 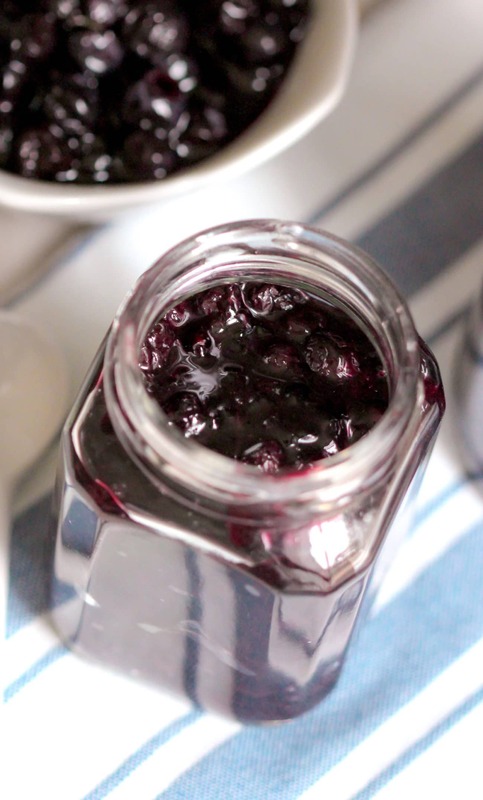 And this Blueberry Compote? It’s PERFECT on top of those pancakes. Especially with a little drizzle of Sugar-Free Vanilla Bean Syrup. 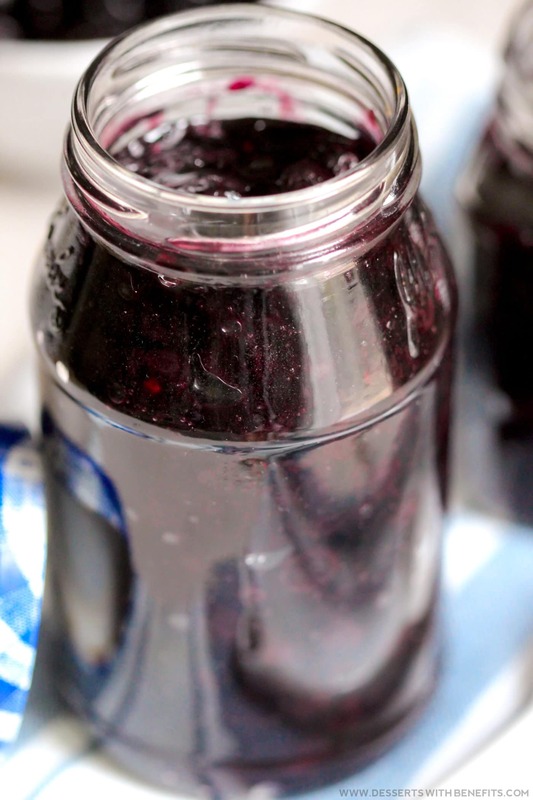 This Healthy Blueberry Compote Topping recipe is sweet and BURSTING with bright and fresh blueberry flavor, yet it's secretly all natural, refined sugar free, fat free, gluten free, dairy free, and vegan! Perfect for topping pancakes, waffles, oatmeal, yogurt, cheesecake, pound cake, and more! In a medium saucepan, add the frozen blueberries. Place over medium/low heat for ~30 minutes, stirring occasionally. In a small bowl, whisk together the erythritol and starch. Whisk this into the blueberries and reduce the heat to low. Whisk in the stevia extract and lemon flavor and continue cooking for ~10 minutes, or until thickened. Serve! To store, refrigerate in a tightly sealed jar for up to 1 week. Serve warm. 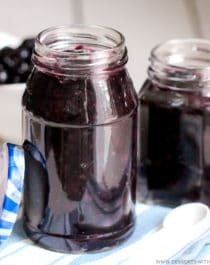 The nutrition label for this Healthy Blueberry Compote recipe is for a ¼ cup (4 tablespoons) and has just 60 calories. 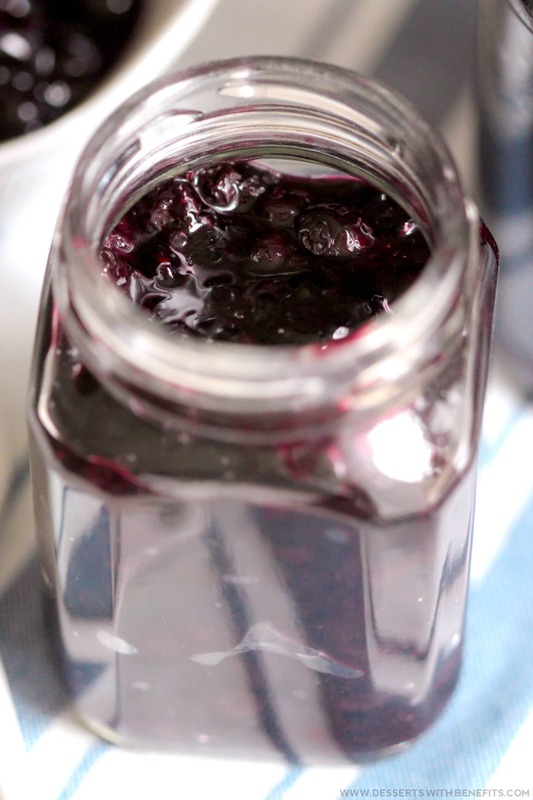 I found another Blueberry Compote recipe on the Cooking Channel website which has 176 calories for a ¼ cup! Save yourself from the excess calories and white sugar and make this healthy recipe instead. It’s just as delicious. Can’t wait for that lemon cheesecake recipe! Blueberry is one of my most favorite flavors ever! Give me all the blueberry things. Which I suppose you could do with this topping…just top everything with blueberry compote.